Below are Shoshana and Nathan Phillips. Shoshana died of cancer in 2014. 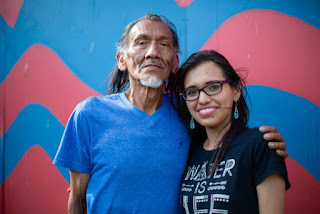 Below are Nathan Phillips and his daughter, Alethea. Nathan and Shoshana also have a son named Zakiah. May something good come of the events of January 18, 2019, in Washington, D.C., during the Indigenous Peoples March. My hope is that Nicholas Sandmann will someday meet Nathan Phillips in an expanded context and understand what Nicholas couldn't possibly have understood on January 18 -- that Nathan Phillips is a man of peace who is willing to forgive, as Nicholas Sandmann's teacher, Jesus, did. May common ground be found. I do no believe that Nick Sandmann will ever open his heart. he is already convinced of his superiority. I'm glad you still have the dream. I had the same hope you did, but given what has transpired since I think ellen might right about him. 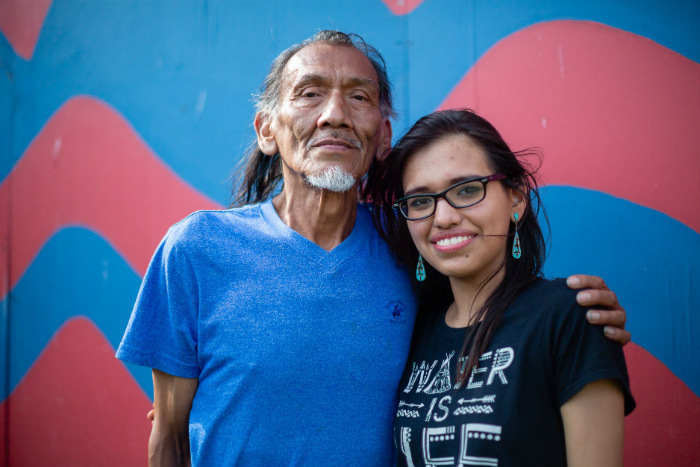 There is no one in his world encouraging him to look at Nathan Phillips with an open heart. Even his diocese, the people charged with his moral instruction, endorsed his and his schoolmates’ behavior. The whole thing saddened me greatly.